ATD is proud to launch the new ATD Competency Model. The talent development (TD) profession has undergone significant transformation in the last decade. 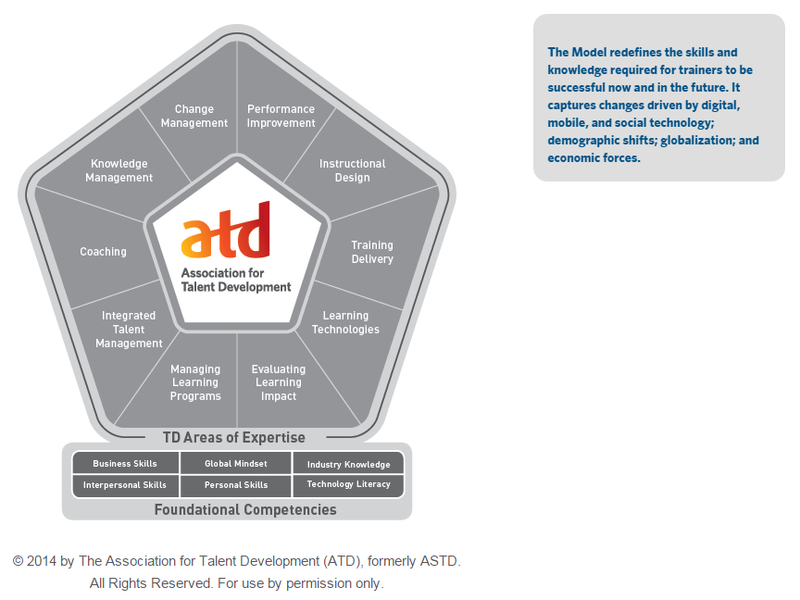 The ATD Competency Model redefines the skills and knowledge required for trainers to be successful now and in the future. It captures changes driven by digital, mobile, and social technology; demographic shifts; globalization; and economic forces. Click here to link to the ATD National site and learn more about the Competency Model.